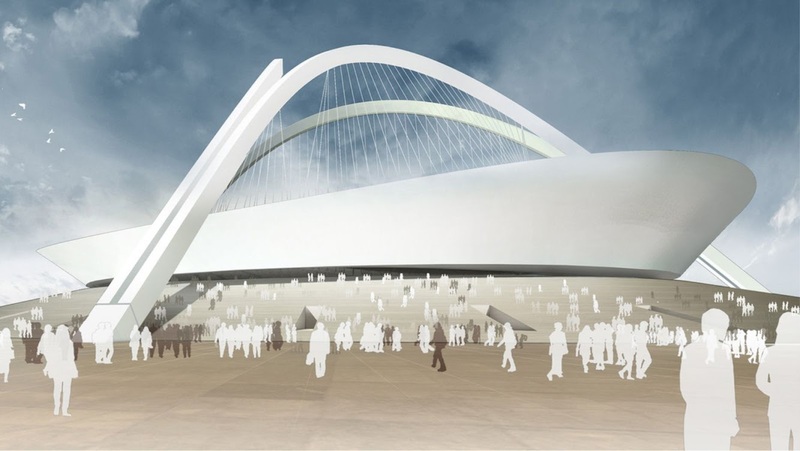 A new football stadium for Tripoli: the groundbreaking ceremony for the National Stadium in the new sports park, which was designed by the architectsvon Gerkan, Marg and Partners (gmp) took place on Wednesday 26 February 2014. The new National Stadium in Libya is being built to cater for a very important football event: in 2017, Libya will host the African Cup of Nations, which is the pan-African football championship. in addition to the refurbished field-and-track stadium in the existing sports park in the city, a new sports complex with a dedicated football stadium for 71,000 spectators will be built at the western edge of the city close to the sea. the project includes an indoor pool, a multi-purpose arena and “Family Sportsworld”, a family sports facility. The complex, which is being built around a circular basin of approx. 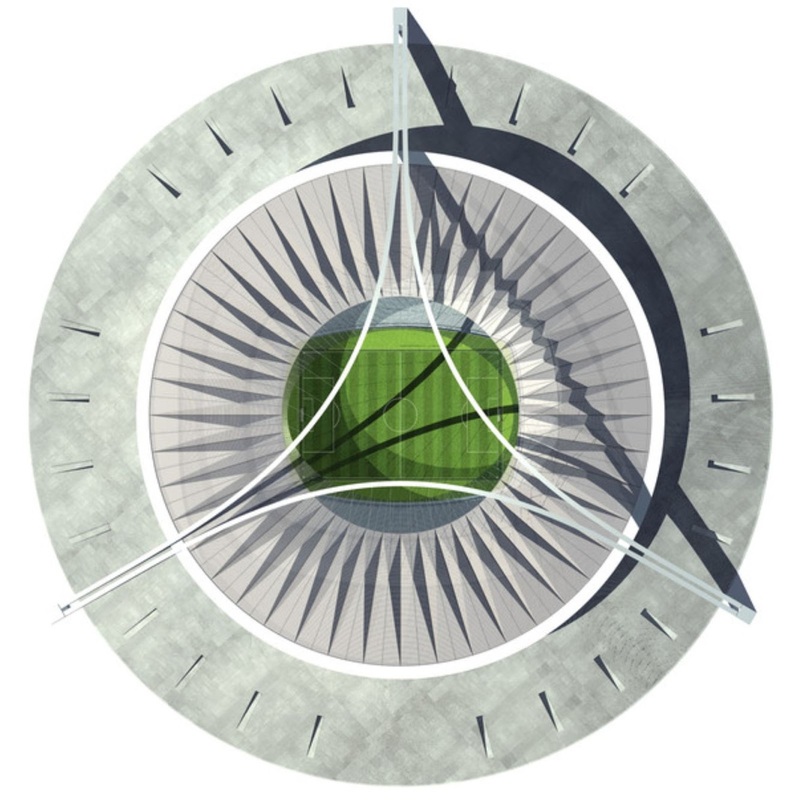 500 m diameter, is designed with a symbolism focusing on the number 3 in deference to the historic genius loci, as represented by the city’s name (tri-polis = city of three). 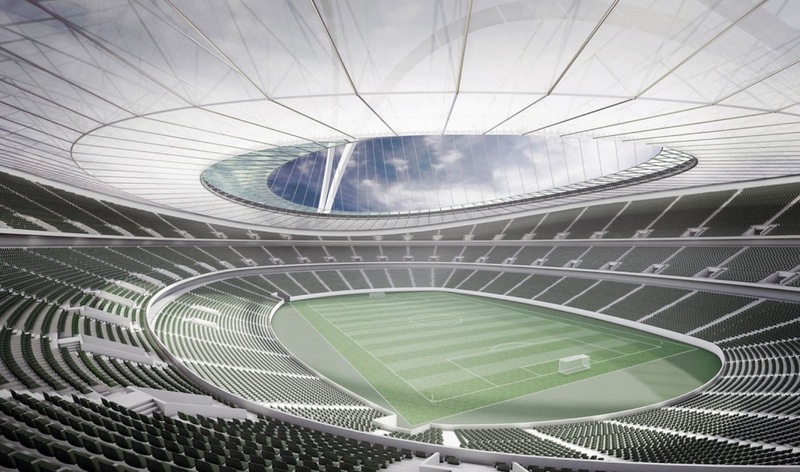 in the centre the stadium has been placed on a cone-shaped plinth, while the three additional buildings have been arranged on the periphery in a triangular configuration.